Story Contracting has appointed Tony Ward as Head of Operations for the Construction division. Tony will support the Construction Director in leading and managing the operational function, to deliver commercial success and drive continuous improvement and development. With 25 years of operational and commercial construction experience working for client and contracting organisations, building, developing and sustaining successful teams, Tony joins Story Contracting from Home Group. Robert Craig recently joined Story Contracting as Construction Manager. Robert will be responsible for securing work by assisting with tender submissions, delivery of works secured, and to oversee all track activities within the rail division. With over twenty years in the rail industry, Robert joins Story Contracting from McGinley where he was an Operations Manager. Chris Sidwell has recently been promoted to Construction Manager for the Rail division. Chris’ remit will predominately be to embed the track design and delivery principle’s to ensure the awareness is spread across the team and managed correctly during delivery. Chris will also manage and develop the story portfolio to deliver track works for other principle contractors. Chris joined Story Contracting 18 months ago as a Scheme Project Manager where he has been involved in the successful delivery of Reddish Viaduct and Arcow Quarry track works in joint collaboration with Murphy’s. Jenny Clark has recently been promoted to HR Manager. 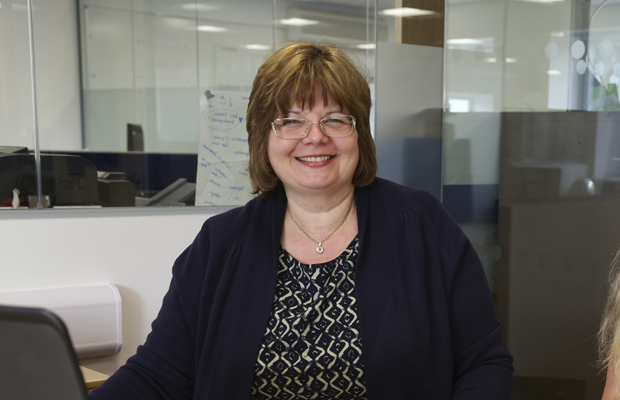 Jenny is responsible for managing HR processing and recruitment and providing continuous improvement support. Jenny joined Story Contracting 14 months ago and has been involved in the implementation of the new HR system, which is currently being prepared for roll out this summer. The new system will reduce paperwork and allow staff improved access to all HR and training data.